This is where we'll announce the most recent additions and enhancements to our products, services and website. 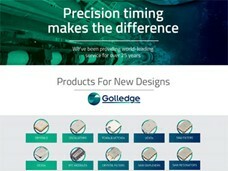 product developments from Golledge, sign up here. We're exceptionally pleased to announce that thanks to the level of regular charitable donations made by our employees we've been awarded the diamond payroll giving award! Find out more here. 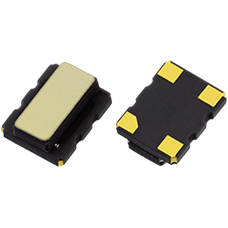 We're excited to announce the introduction of an ultra-low power RTC, the RV3028C7 with current consumption of just 40nA, in addition to the launch of the GTXO-94 our brand new temperature compensated oscillator providing excellent stability at 32.768kHz. Find out more information here today. We're proud to announce that our shipments are now climate neutral thanks to our partnership with DHL, our preferred carrier. 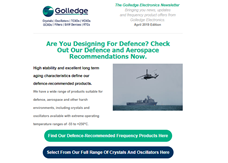 You can find out more information about this change in our October newsletter, in addition to the launch of our brand new 32.768kHz temperature compensated oscillator, the GTXO-94, as well as more information about our team who will be attending Electronica 2018! Looking to meet the team at an event this Autumn? The Golledge team are proud to be exhibiting at Electronica 2018, and the Electronics Design Show 2018. If you're attending we'd love to meet you there!